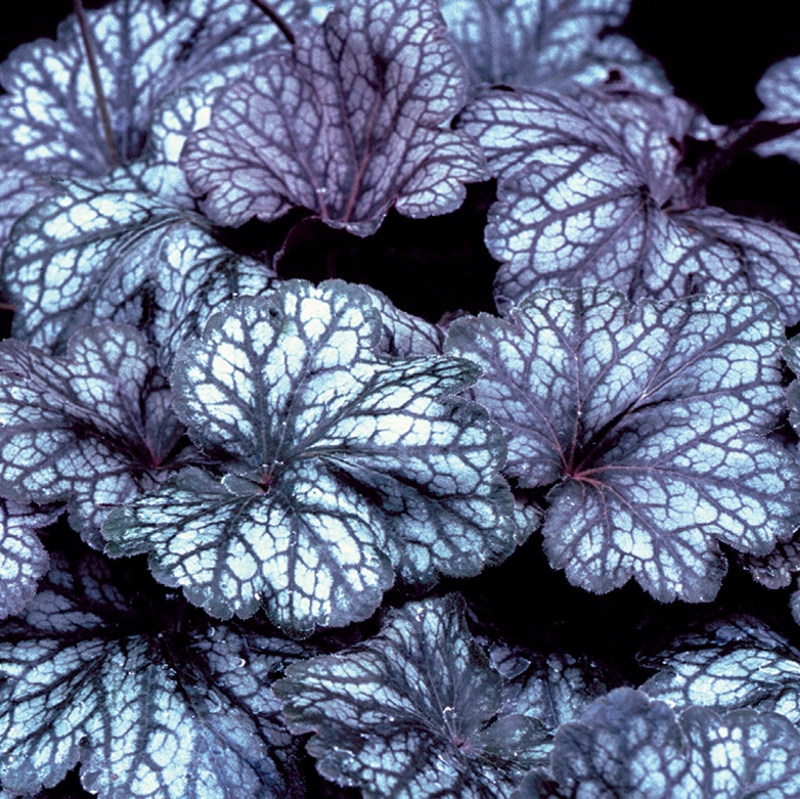 Heuchera 'Geisha's Fan'. An alluring color combination of silver, purple and white. This "Asian Beauty" is a fantastic companion plant to hostas and ferns. A strong fast grower from Terra Nova Nurseries.